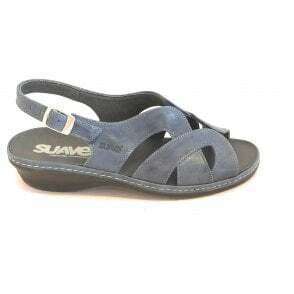 Twin velcro straps give maximum adjustment with the buckle sling-back and the simple design flatters the foot. 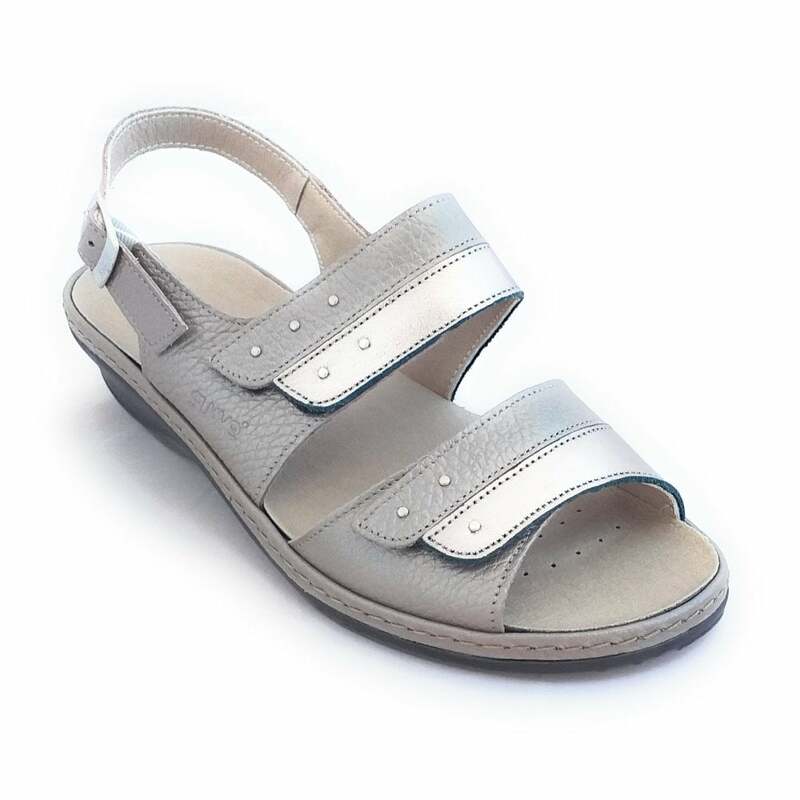 Suave Hayley features an attractive taupe leather upper with stud trim. 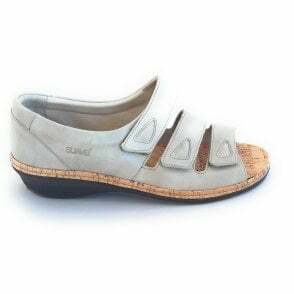 Designed with a deep cushioned footbed this wide fitting sandal gives all day comfort.